Have you ever been so intrigued by a product?? Have you seen it used and just couldn’t wait to get your hands on it? That is exactly how I feel about this new(to me) product. Recently I have wanted to start a project. I didn’t know what to do. When scrolling through Instagram one night, it hit me! 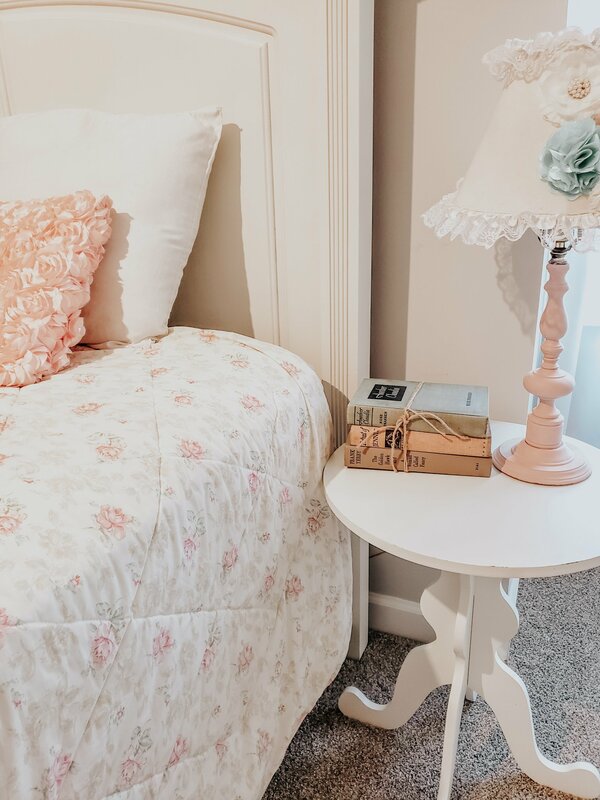 I saw a beautiful little girls room, so I decided that was it! 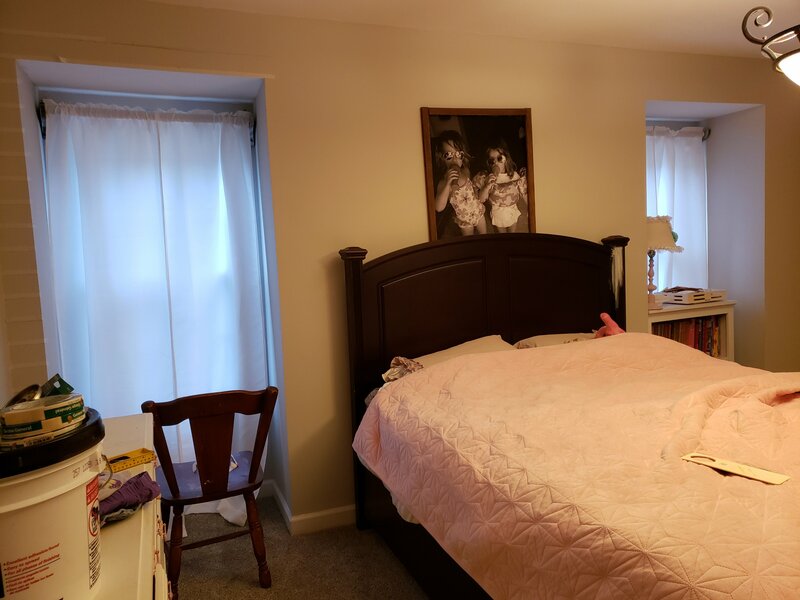 Lightbulb moment… I would redo the girls bedroom. I was thinking of all the things I could do and as I was sitting in their room for inspiration, it hit me! I would repaint their dressers because they desperately needed it. 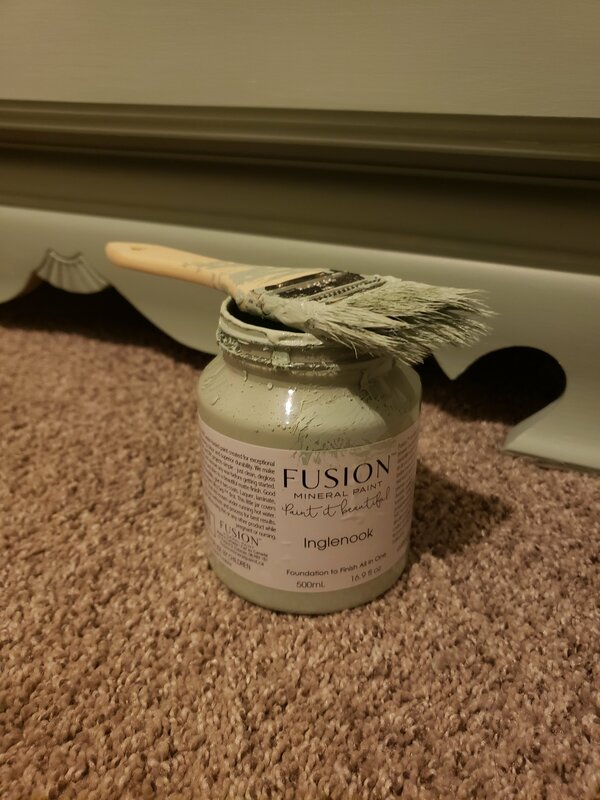 I had heard so many people who love Fusion Mineral paint and I was super intrigued and wanted to try it. They were kind enough to send me some paint and I was beyond excited to try it out. So much so, that I opened it that day and painted. 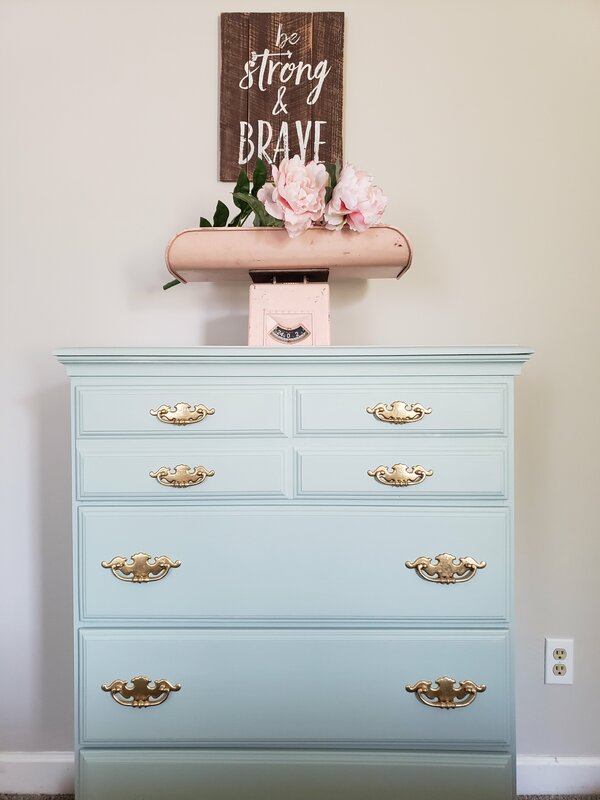 We decided to go with the color Inglenook, a muted greenish blue color, on their dressers. Then use the color Raw Silk, a beautiful creamy white color, on their bed. 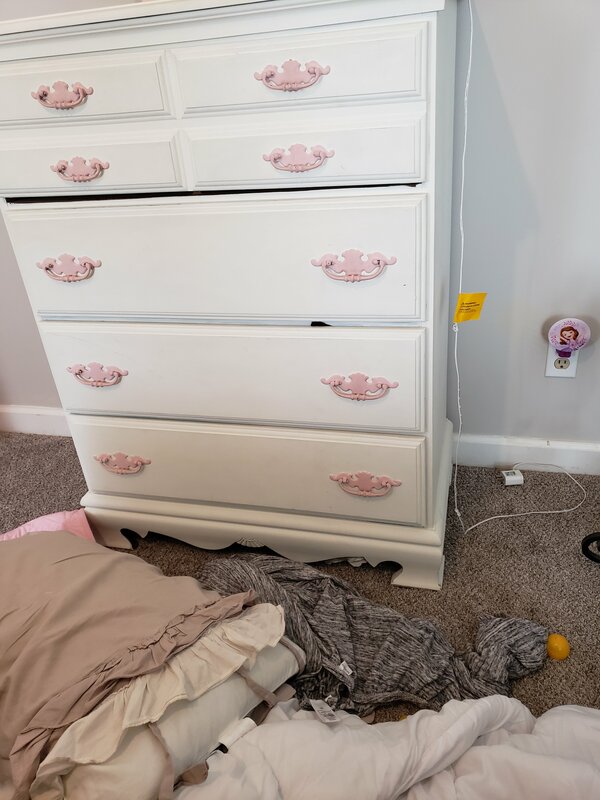 Their dressers were painted white about 2 years ago and their bed was a dark stain. The paint went on so smooth. The consistancy was perfect; not too water-y and not too thick. I used a really inexpensive kind of junky brush but I can not see brush strokes at all. I was really surprised!!! It has a gorgeous finish that is almost a mix between matte and satin. It is not super shiny but not super matte. It is, in my opinion, the perfect finish! Best part is that it does NOT need a sealer or wax. That was my favorite part because I am part of the 95% club that doesn’t finish projects fully. So with this, I finished the project because there was nothing else for me to do besides paint. It dries super quick too so the projects took such little time because I was able to do a second coat shortly after I got done with the first. Also, the paint goes a long way!!! They sent me a pint(16.9 fl. oz.) of each color and I was surprised at how much it covered. I was able to paint both dressers with 2 coats of Inglenook and still have about 1/4 of the bottle left. With Raw Silk I was able to paint their bed with 3 coats(over dark stain) and still have about 1/8 of the bottle left. So if you can’t already tell, I absolutely love this paint! It is such great quality paint and this will be my go to paint from now on. In fact I already went to a nearby store to purchase a few small bottles to use for other projects!